I am Keith Schellin, owner of corebizjp.com. I built my first business at the age of 26. It was a lifestyle business, meaning that its purpose was to make enough money to support my lifestyle. I never tried to grow it beyond that. Looking back now, I could have easily, especially given the time period, built it to at least 10 X its annual revenue. After 20 years, I closed the doors on my business. It never occurred to me to sell it. I didn’t even consider that someone else might want it. Maybe, this came about as a part of my experience of working with small business owners in Japan. Most small business owners, unless they plan to turn their business over to their children, tend to close down when they decide to stop working. Very few, unless they are much larger think about selling. I moved to San Francisco eight years ago (my children were grown, and I wanted to experience the U.S. as an adult) and began a company that helped small business owners. I worked as a business coach and a peer advisory board facilitator. It’s at this time that I met one of the leaders in the field of exit planning. Most of the emphasis of exit planning was and still is on helping baby boomers plan the exit of their businesses. But after a few years working with exit planning I began to see other ways that exit planning was a benefit to business owners. So much so that I began to realize that it was in fact one of the best ways to run a business. I saw that Strategic Exit Planning was in fact building a business to be sold. When you look at your business through the eyes of a potential buyer it gives you a different perspective. Do you own a business that someone else would want to buy? If No, Why not? If Yes, then how much would they be willing to pay for it? Is that the same amount you think it’s worth? People want to buy healthy companies. Cash Flow positive companies. Companies that can be run without their founder. Companies that can be scaled and grown. And, if you are a business owner, isn’t that the type of company you want to be running? Is your business built to sell? This is one of the best tests of the performance of your business. Is it performing at its optimum level? Is it performing at the level that you’ve always wanted or felt it should be? If not, why not? What needs to be done to make it that way? Putting a strategic exit plan in place and assessing it through “Is it built to sell?” and making changes will without a doubt give you a better business. 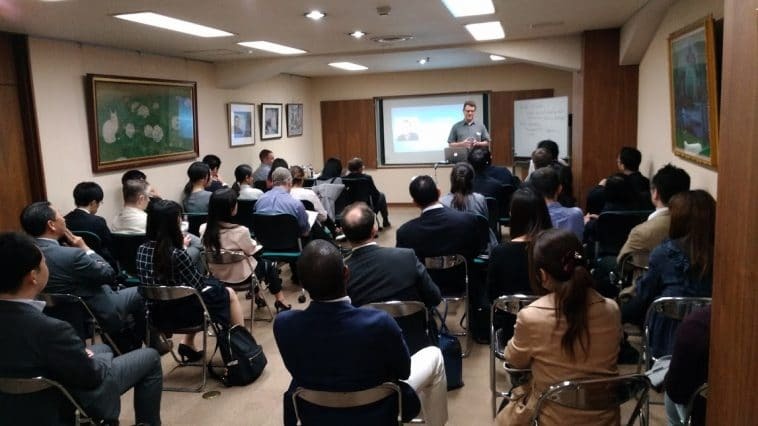 I’m based in Tokyo, but I work with business owners throughout Japan to help them put an exit plan in place and build a better business. Most business owners I work with say that they view my work with them as an investment not an expense because the benefits (ROI) far outweigh the costs. If you’d like a free consultation to find out how an exit plan will benefit your business or if you’re already thinking of exiting and want help preparing give me a call or send me an email. About the author: Keith, runs an Tokyo based business helping entrepreneurs with business exit planning and strategies. Keith has also contributed to SME Japan with a great article on selling your business. A valuable read for any entrepreneur planning an exit strategy. What a great focus Keith; building a business with the plan from the outset to build a business able to be sold. Simple and I suspect totally overlooked by most new business founders. Starting and developing a small venture is challenging. You will say a least, only when you have a successful exit strategy in place. An effective exit plan can allow a business owner to make better decisions related to an economic model. Rinse-and-repeat is a re-occurring revenue stream. Once you design a successful exit-strategy, you can understand this process well. Making a start with an exit in the mind will allow an entrepreneur to think bigger, grow bigger, and have more fun in the process.